All winter we dream of these months, when farmers market tables pile high with an array of vegetables, and CSA boxes get heavier and more diverse, boasting everything from kohlrabi to radishes. It's no surprise, then, that I find that I'm eating a ton of vegetables lately, and not just boring, broccoli-as-a-side-dish vegetables. 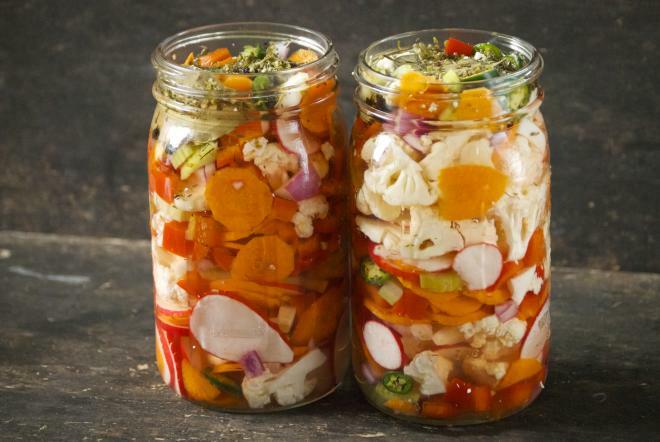 I love pickled vegetables, and giardiniera is one of my favorites. With its Italian roots, giardiniera is also known as "sottaceti," meaning "under vinegar," and is usually eaten along with antipasto selections like cured meats, various cheeses, and olives. The simple mix shows up on Italian beef sandwiches in some places, particularly in Chicago, and can be used in a muffuletta sandwich, a swoon-worthy creation that originated with Italian immigrants in New Orleans. Giardiniera takes almost no time to make and tastes so much better than those store-bought versions. 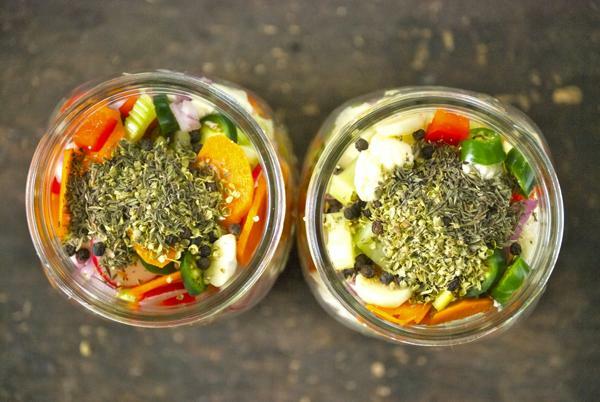 Grab whatever vegetables you have, chop them up, add a few dried herbs, make a super-quick brine, throw it all in a jar, and put them in the fridge. There you have it — you just made yourself giardiniera. It’s wonderful on sandwiches (roast beef in particular), salads, or straight from the jar. Once you taste this, you’ll be making it every week, it’s that easy, and it really is a perfect snack. Many recipes have lots of sugar (not my deal) and some have olive oil mixed in. I’m a little frugal with my olive oil, and don’t feel like it is necessary. For me, the recipe below is a perfect balance of vegetables, vinegar, and sugar (just a smidge to temper the vinegar). Add spicy peppers, if you want. Or don’t. As I always say: make it yours! I truly love this version and I hope you do, too. 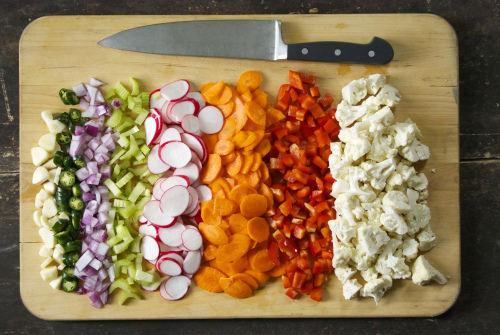 Divide the chopped vegetables evenly between 2 sterilized quart jars. Pack them in there! Divide the oregano, thyme, and peppercorns between the two jars, as well. Bring the brine ingredients to a boil — this infuses the bay leaves and dissolves the salt and sugar. Remove from heat, then place one bay leaf in each jar. Pour the brine into each of the jars while it is hot. This will soften the vegetables just a bit. Let cool at room temperature. Place a lid on them, give a shake and refrigerate. Contents will be fully ready within a day. If you’re impatient, you may even try them sooner. Enjoy! Laurie Jesch-Kulseth is a lifelong home cook who has always believed that eating healthy food is an important part of a balanced life. A wife and mother of two, she pours her heart into the meals she makes for her family. 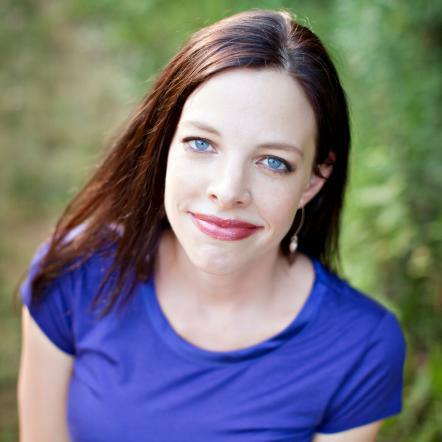 She photographs and writes about it all on her blog, Relishing It, where a version of this story first appeared.